Ear wax is important for keeping ears healthy and clean, however when wax builds up, earclear can help relieve the blocked ear feeling. 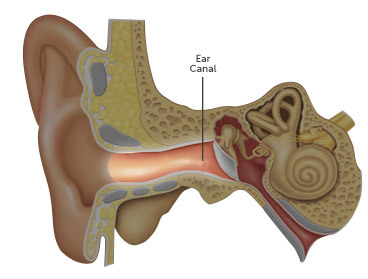 The ear canal contains glands that produce a waxy secretion called cerumen (ear wax). Ear wax is a helpful and natural part of your body's defences. It cleans, lubricates and protects the lining of the ear canal, trapping dirt and repelling water. Without ear wax the skin inside your ear would become dry and cracked. The ear canal has a self-cleaning action that is constantly moving ear wax toward the opening of the ear. Regular jaw actions, like talking and chewing, also help to massage the wax out of the ear canal. Ideally the ear manages its own ear wax removal. However, some people are prone to ear wax build-up. Using cotton tips can push wax deeper and is not a recommended way to remove ear wax. earclear has a range of effective solutions to help treat and prevent ear wax build-up. Ears can simply produce more wax than is possible to move naturally out of the ear. The use of cotton tips to clean the ear may push wax deeper into the ear, making it more difficult to remove. A narrow ear canal can hinder the natural removal process and ear wax can accumulate. A large amount of hair in the ear canal can obstruct ear wax from moving naturally out of the ear. Working in dusty or dirty environments, particularly outdoors, can lead to dirt or debris building up and trapping wax in the ear. These can prevent the wax from moving naturally out of the opening of the ear. There are many indications of an ear wax build-up. Do these symptoms differ from yours? Find out what the symptoms are for ear ache and swimmer's ear. Despite removing ear wax build-up, it is possible that the ear may become blocked with wax in the future. This is because many of the causes of ear wax build-up are out of the control of the sufferer. 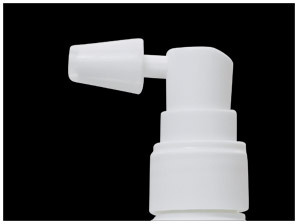 earclear cleansing spray is a gentle and effective way to help prevent ear wax from building up. It is designed to work with the ear's natural cleansing process by gently washing away excess wax. The specially formulated solution is gentle on the delicate tissues of the ear canal and the flared tip prevents over insertion into the ear. NOTE: You may experience a clogged ear sensation that quickly disappears once you tilt your head to allow the solution to flow out. earclear cleansing spray is also great as a daily ear cleanser, especially for those who work in a dusty or dirty environment. It keeps ears feeling refreshingly clean and clear. It's the gentle alternative to cotton tips! Do not use if you have ear pain, an ear infection, if discharge is present, swimmer's ear, an ear drum perforation, grommets, balance disorders, unstable insulin dependent diabetes, immunosuppression, had recent ear surgery or if you have hard and/or obstructive ear wax blockage or a foreign item in the ear. Use in children under 12 years of age only on advice of your doctor or pharmacist. * Always read the label. Follow the directions for use. If symptoms persist, talk to your health professional. ** This product may not be right for you. Read the label before purchase. Follow the directions for use. If symptoms persist, talk to your health professional.